Appian Way Productions is a film production company in West Hollywood, California, established by actor and producer Leonardo DiCaprio. As of 2016, the company has produced 14 feature films, five documentaries and a television show. 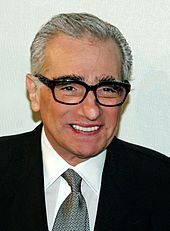 It has frequently collaborated with Martin Scorsese, who has directed some of the company's most well-known films. The company's first film was The Assassination of Richard Nixon (2004), which was screened at the 57th Cannes Film Festival. In the company's second film, the 2004 biopic The Aviator, DiCaprio starred as Howard Hughes. The film was a critical and commercial success, and earned several Academy Award nominations, including Best Picture. Its following productions were released three years later—the comedy drama Gardener of Eden (2007) and the documentary The 11th Hour (2007). 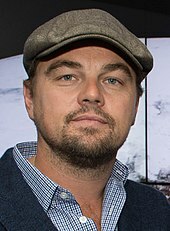 DiCaprio secured a three-season television series Greensburg (2008–2010) for the company. Appian Way produced three profitable films from 2009 to 2010, the mob drama Public Enemies (2009), the psychological horror Orphan (2009) and the psychological thriller Shutter Island (2010). Three films were released by Appian Way in 2011, none of which were particularly successful. The company had three releases in 2013, including the biopic The Wolf of Wall Street (2013), which was a critical and commercial success. Banned in several countries for its controversial scenes, the film was downloaded illegally over 30 million times via BitTorrent sites. The Revenant (2015) followed, a highly successful western thriller about the life of the frontiersman Hugh Glass. Appian Way Productions was founded by Leonardo DiCaprio and takes its name from the Italian road of the same name. Its first film was The Assassination of Richard Nixon (2004), starring Sean Penn as Samuel Byck, who attempted to assassinate US president Richard Nixon in 1974. It was screened in the Un Certain Regard section at the 2004 Cannes Film Festival. The company's next film was the 2004 biopic The Aviator, produced in association with Forward Pass, Intermedia, and Initial Entertainment Group. Based on the 1993 non-fiction book Howard Hughes: The Secret Life by Charles Higham, the film depicted the life of Howard Hughes (DiCaprio), an aviation pioneer who became a successful film producer between the late 1920s and late 1940s while simultaneously growing more unstable due to severe obsessive–compulsive disorder. Writing for The Daily Telegraph, Sukhdev Sandhu described the film as "a gorgeous tribute to the Golden Age of Hollywood" even though it "tips the balance of spectacle versus substance in favour of the former". He praised Martin Scorsese's direction, DiCaprio and the supporting cast. The film proved to be a commercial success, with a worldwide gross of $213.7 million against a budget of $110 million. It earned a total of eleven nominations at the 77th Academy Awards, including Best Picture, Best Director (Scorsese) and Best Actor (DiCaprio), and won five of them, including a Best Supporting Actress award for Cate Blanchett. Kevin Connolly, a close friend of DiCaprio, directed Appian Way's next film—the comedy drama Gardener of Eden (2007), which, according to The Hollywood Reporter's Frank Scheck, "lack[ed] the necessary dramatic urgency or black humor to connect with audiences". A few months later, Appian Way released The 11th Hour, a documentary about global warming. The film, featuring 50 experts who suggested solutions to various environmental problems, won the Earthwatch Environmental Film Award through the National Geographic Channel in March 2008. DiCaprio wrote a three-season television series Greensburg (2008–10) which was produced by the company. Appian Way later produced another biopic, Public Enemies (2009), a Michael Mann-directed mob drama starring Johnny Depp and Christian Bale. Following the final years of the notorious bank robber John Dillinger (Depp) as he is pursued by FBI agent Melvin Purvis during Great Depression, the film was an adaptation of Bryan Burrough's non-fiction book Public Enemies: America's Greatest Crime Wave and the Birth of the FBI, 1933–34. A commercial success, it also received generally positive reviews, though critics found historical inaccuracies in the film. The company, along with Dark Castle Entertainment, released the 2009 psychological horror film Orphan, which told the story of a couple who, after the death of their unborn child, adopt a mysterious 9-year-old girl. The film was considered by the adoption community to promote negative stereotypes about orphans. Although the film received mixed reviews, it was a commercial success. Scorsese reunited with the company to make the film Shutter Island (2010), a psychological thriller based on the 2003 novel of same name by Dennis Lehane. DiCaprio played U.S. Marshal Edward "Teddy" Daniels, who investigates a psychiatric facility located on an island but eventually comes to question his own sanity. A commercial success, the film received generally positive reviews; Peter Bradshaw of The Guardian praised the film's direction and performances but criticized its "silly twist ending", calling it "supremely exasperating". Red Riding Hood, directed by Catherine Hardwicke, was Appian Way's first release in 2011. The film, set in a village haunted by werewolves, follows a young girl who falls in love with an orphan woodcutter, much to her family's displeasure. Earlier in production, the film was titled The Girl with the Red Riding Hood. Although it was poorly received by critics—Mary Pols of Time named it one of the Top 10 Worst Movies of 2011—it had moderate box-office returns. The company's second release in 2011 was Detachment, a Tony Kaye-directed drama about the high school education system. George Clooney directed and co-produced the company's final film of the year The Ides of March, which is based on Beau Willimon's play Farragut North. Starring Ryan Gosling, Clooney and Philip Seymour Hoffman, this political drama takes place during a presidential primary, when an ambitious press secretary (Gosling) becomes embroiled in a political scandal. The film received positive reviews; one from The Guardian praised the direction and the performances of the cast. has directed three of the company's films, The Aviator (2004), Shutter Island (2010) and The Wolf of Wall Street (2013), all of which were successful. Three films were produced by Appian Way in 2013; the first was Runner Runner, an ensemble crime thriller, which The Guardian's Xan Brooks described as "a lazy, trashy film that barely goes through the motions". The thriller Out of the Furnace, the company's second release, was also negatively received by critics and was a box office bomb. Scorsese directed the company's final film in 2013—The Wolf of Wall Street, a biopic on the life of Jordan Belfort (DiCaprio), a New York stockbroker who runs a firm that engages in securities fraud and money laundering on Wall Street in the 1990s. The screenplay was adapted by Terence Winter from Belfort's memoir of the same name. The film was banned in Kenya, Malaysia and Nepal for its controversial depiction of events, explicit sexual content, profanity, and hard drug use. Nonetheless, it was a commercial success, becoming the 17th-highest-grossing film of 2013. According to copyright infringement tracking site Excipio, the film was the most widely infringed of 2014, as it was downloaded illegally over 30 million times via BitTorrent sites. It was nominated for several Academy Awards, including Best Picture and Best Actor, although it failed to win in any category. In 2015, DiCaprio produced and co-starred with Tom Hardy and Domhnall Gleeson in The Revenant, directed by Alejandro González Iñárritu. This biographical western thriller is based on in part on Michael Punke's 2002 novel of the same name, which itself is inspired by the frontiersman Hugh Glass's survival after being mauled by a grizzly bear in 1823. Co-produced with Regency Enterprises, RatPac-Dune Entertainment, Anonymous Content and M Productions, the film was well received by critics with particular praise directed toward the performances, direction and cinematography. "Bleak as hell but considerably more beautiful, this nightmarish plunge into a frigid, forbidding American outback is a movie of pitiless violence, grueling intensity and continually breathtaking imagery", according to Justin Change of Variety. Built on a budget of $135 million, the film earned $533 million worldwide. The Revenant received 12 nominations at the 88th Academy Awards, and won three, including Best Director and Best Actor. In May 2016, Appian Way Productions signed a three-year, first-look production deal with Paramount Pictures. In December 2016, the company released Live by Night, based on the 2012 novel of same name by Dennis Lehane. Directed by, written by and starring Ben Affleck, this Prohibition-era gangster drama received largely unenthusiastic reviews and failed to recoup its $65 million production budget. Also that year, the company produced four documentaries, Davi's Way, The Last Shaman, The Ivory Game and Before the Flood, the last of which won the Evening Standard British Film Award for Best Documentary. In 2017, Appian Way produced Under the Bed, a television film thriller about a young woman trying to get over a breakup, while befriending a stalker on social media. 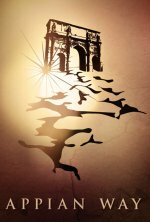 In association with Blumhouse Productions and GK Films, the company will produce Delirium, a supernatural horror film scheduled for a 2017 release. As of September 2017, Appian Way will produce Roosevelt, a film based on the life of former U.S. President Theodore Roosevelt; Leonardo DiCaprio is set to star, with Martin Scorsese directing and Paramount Pictures distributing. ^ A television film thriller, the production is inspired by true events. ^ Ievoli, Susan (November 14, 2016). "History Greenlights "frontiersmen" From Executive Producer Leonardo Dicaprio Of Appian Way Productions And Stephen David Entertainment". A&E Networks. Retrieved June 25, 2017. ^ McCarthy, Todd (May 17, 2004). "Review: 'The Assassination of Richard Nixon'". Variety. Archived from the original on December 22, 2015. Retrieved December 20, 2015. ^ "The Assassination of Richard Nixon". Cannes Film Festival. Archived from the original on November 10, 2013. Retrieved December 20, 2015. ^ Santas, Constantine; Wilson, James M.; Colavito, Maria; Baker, Djoymi (2014). The Encyclopedia of Epic Films. Scarecrow Press. p. 64. ISBN 978-0-8108-8248-5. ^ Winter, Jessica (June 10, 2005). "The Aviator". The Guardian. Archived from the original on December 22, 2015. Retrieved December 20, 2015. ^ "Thrillingly bumpy ride towards madness". The Daily Telegraph. December 24, 2004. Archived from the original on March 1, 2016. Retrieved December 20, 2015. ^ "The Aviator (2004)". Box Office Mojo. Archived from the original on December 21, 2015. Retrieved December 20, 2015. ^ "The 77th Academy Awards (2005) Nominees and Winners". Academy of Motion Picture Arts and Sciences. Archived from the original on January 1, 2016. Retrieved December 20, 2015. ^ Scheck, Frank (April 26, 2007). "The Gardener of Eden". The Hollywood Reporter. Archived from the original on December 22, 2015. Retrieved December 20, 2015. ^ Kohli, Gayrajan (December 21, 2014). "Why You Should Watch 'The 11th Hour' With Leonardo DiCaprio". abcofsolar.com. Archived from the original on December 22, 2015. Retrieved December 20, 2015. ^ "Greensburg Season 3 to Air on Planet Green". Greensburgks.org. Archived from the original on December 22, 2015. Retrieved December 20, 2015. ^ Slavicek, Louise Chipley (2012). Leonardo DiCaprio. Infobase Learning. p. 89. ISBN 978-1-4381-4133-6. ^ "Public Enemies". Metacritic. Archived from the original on December 13, 2016. Retrieved June 25, 2017. ^ "Public Enemies (2009)". Box Office Mojo. Archived from the original on February 7, 2017. Retrieved June 25, 2017. ^ Crary, David (July 19, 2009). "Advocates of adoption upset by 'Orphan' film". Los Angeles Times. Archived from the original on December 22, 2015. Retrieved December 20, 2015. ^ Ochoa, George (2011). Deformed and Destructive Beings: The Purpose of Horror Films. McFarland. p. 75. ISBN 978-0-7864-8654-0. ^ "Shutter Island (2010)". Box Office Mojo. Archived from the original on January 14, 2016. Retrieved December 20, 2015. ^ Bradshaw, Peter (March 11, 2010). "Shutter Island". The Guardian. Archived from the original on December 22, 2015. Retrieved December 20, 2015. ^ Sperling, Nicole (April 23, 2010). "'Twilight' director Catherine Hardwicke talks new project: 'Red Riding Hood'". Entertainment Weekly. Archived from the original on March 8, 2016. Retrieved December 21, 2015. ^ Pols, Mary (December 7, 2011). "The Top 10 Everything of 2011 – Red Riding Hood". Time. Archived from the original on December 20, 2011. Retrieved December 21, 2011. ^ "Red Riding Hood". Box Office Mojo. Archived from the original on December 16, 2015. Retrieved December 21, 2015. ^ Travers, Peter (March 15, 2012). "Detachment Review". Rolling Stone. Archived from the original on December 22, 2015. Retrieved December 21, 2015. ^ "The Ides of March". Rotten Tomatoes. Archived from the original on June 3, 2017. Retrieved June 25, 2017. ^ French, Philip (October 29, 2011). "The Ides of March – review". The Guardian. Retrieved July 7, 2017. ^ Brooks, Xan (September 26, 2013). "Runner Runner – review". The Guardian. Archived from the original on December 22, 2015. Retrieved December 21, 2015. ^ Kaufman, Amy (December 8, 2013). "'Frozen' tops 'Catching Fire,' but 'Furnace' generates no heat". Los Angeles Times. Archived from the original on May 4, 2014. Retrieved December 21, 2015. ^ Harding, Nick (January 12, 2014). "Jordan Belfort: The real Wolf of Wall Street and the men who brought him down". The Independent. Independent Print Limited. Archived from the original on September 21, 2015. Retrieved August 8, 2015. ^ "Kenya arrests over banned Wolf of Wall Street film". BBC News. 13 February 2014. Archived from the original on September 10, 2016. Retrieved 27 June 2016. ^ "'The Wolf Of Wall Street' banned in Malaysia and Nepal". NME. Archived from the original on December 22, 2015. Retrieved December 21, 2015. ^ "2013 Worldwide Grosses". Box Office Mojo. Archived from the original on December 5, 2015. Retrieved December 21, 2015. ^ Spangler, Todd (December 28, 2014). "Top 20 Most Pirated Movies of 2014 Led by 'Wolf of Wall Street,' 'Frozen,' 'Gravity'". The Hollywood Reporter. Archived from the original on December 13, 2015. Retrieved December 21, 2015. ^ Chang, Justin (December 4, 2015). "Film Review: 'The Revenant'". Variety. Archived from the original on December 22, 2015. Retrieved December 21, 2015. ^ "The Revenant (2015)". Box Office Mojo. Archived from the original on May 29, 2017. Retrieved June 23, 2017. ^ Rottenberg, Josh (January 14, 2016). "Oscars 2016: 'The Revenant' and 'Mad Max: Fury Road' lead the pack in Oscar nominations". Orlando Sentinel. Archived from the original on August 18, 2016. Retrieved June 23, 2017. ^ "Leonardo DiCaprio's Appian Way Productions Signs Three-Year Deal With Paramount". The Hollywood Reporter. Archived from the original on May 20, 2016. Retrieved 27 June 2016. ^ "Ben Affleck suits up in 1920s attire for first day of filming Live By Night... while Jennifer Garner takes kids to school in Halloween costumes". Daily Mail. Archived from the original on September 12, 2016. Retrieved 28 June 2016. ^ McClintock, Pamela (January 14, 2017). "Box Office: Why Ben Affleck's 'Live by Night' and Martin Scorsese's 'Silence' Fared So Poorly". The Hollywood Reporter. Archived from the original on January 16, 2017. Retrieved June 25, 2017. ^ Hipes, Patrick (October 21, 2016). "'The Ivory Game' Trailer: First Look At Netflix's Latest Leonardo DiCaprio-Produced Docu". Deadline.com. Archived from the original on February 4, 2017. Retrieved June 25, 2017. ^ Moore, William (November 17, 2016). "Evening Standard British Film Awards - The Longlist". London Evening Standard. Archived from the original on November 29, 2016. Retrieved November 29, 2016. ^ a b McNary, Dave (December 7, 2016). "Lifetime Buys Thriller 'Under the Bed' Starring 'Black Sails' Actress Hannah New (Exclusive)". Variety. Retrieved June 28, 2017. ^ Lang, Brent (September 17, 2015). "How Jason Blum Plans to Upend Film Distribution With 'Green Inferno,' 'Delirium'". Variety. Retrieved June 25, 2017. ^ "Leo DiCaprio, Martin Scorsese teaming up for Teddy Roosevelt film". NY Daily News. Retrieved 2017-09-26.